All GovTribe accounts on a Standard or Premium plan enable content sharing and collaboration through the platform. (Every GovTribe free trial account is a Standard account, allowing up to 10 users.) The ability to share Pipelines and collaborate on business development Pursuits is one of the most popular features of GovTribe. First, if you are the account owner, you will want to add other users to your account in order to share content with them. When you, or any of your team members, create a Pipeline, that Pipeline will be immediately visible and accessible to all team members. 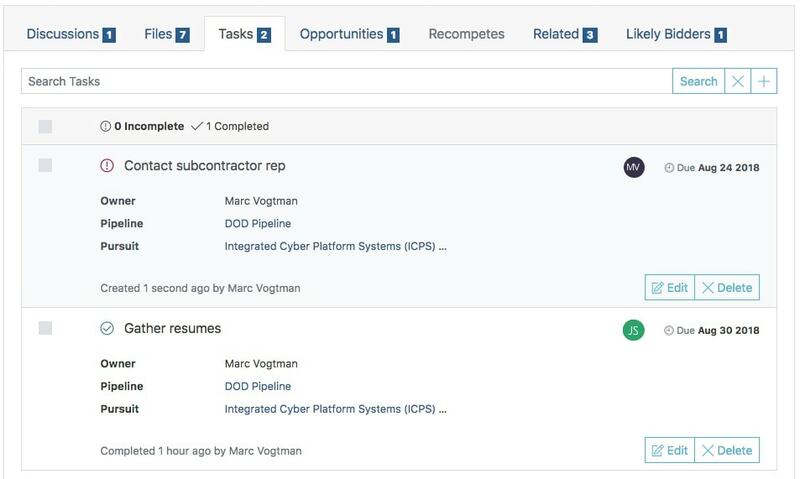 Similarly, all team members are able to interact with any Pursuits that are added to the Pipeline, and any associated Tasks. Use the Discussions tab on a Pursuit to communication about a given opportunity in context. Share information and feedback instantly with your team. 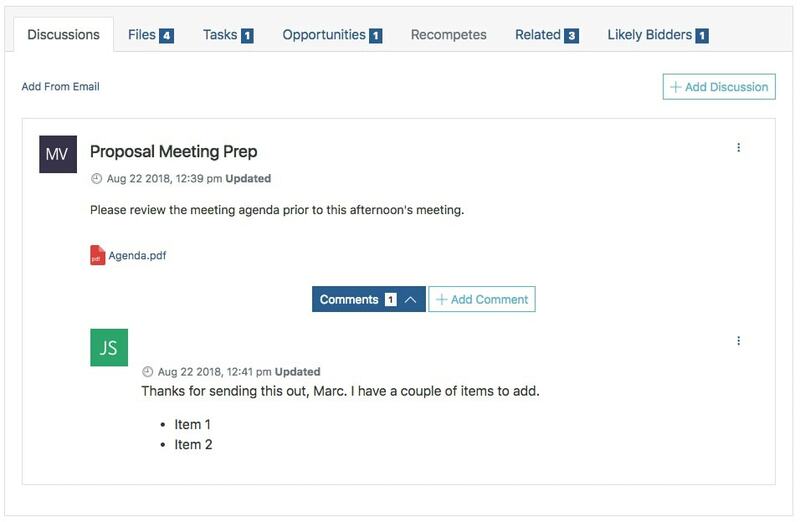 You and your team can add files related to the solicitation package - resumes, quals, draft proposal documents, etc. If you click on the Edit button of any file, you are able to add a new version of the file. Any user can also view previous versions at any time, allowing for simple, intuitive version control. 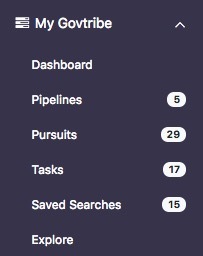 GovTribe offers a complete Task manager tool, integrated with Pipelines and Pursuits. 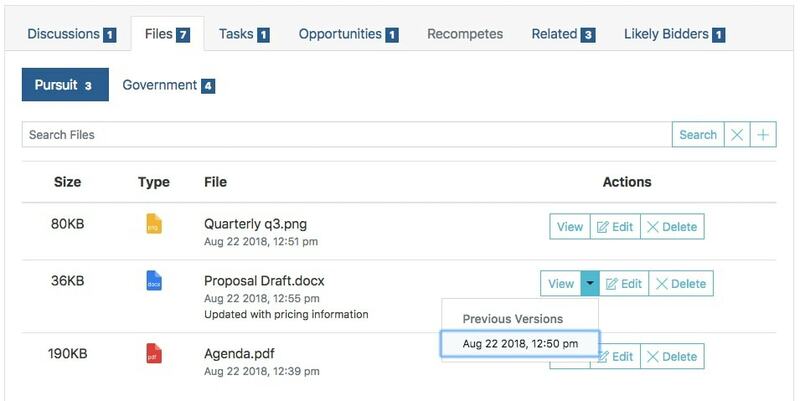 You can create Tasks associated with a Pursuit, assign them to team members, set due dates, track progress, and mark as complete when the are finalized.